I was in my kitchen eating lunch when I noticed this guy right outside my window. 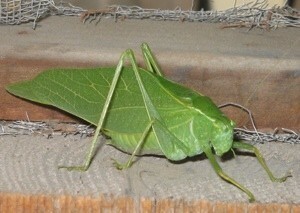 I love leaf bugs! He was so good and still while I snapped his picture! I always consider the day blessed when I see one of these. A creature this cute can share my produce any day.